chocolate turned pink! | a messy girl’s makings from her messy kitchen. Please do visit it if you have the time – many more photos and recipes to share! August 6, 2009. Uncategorized. Leave a comment. twist, lick and dunk generously in a glass of milk. finally tried out this recipe from smitten kitchen! haha yes, another revision snack. 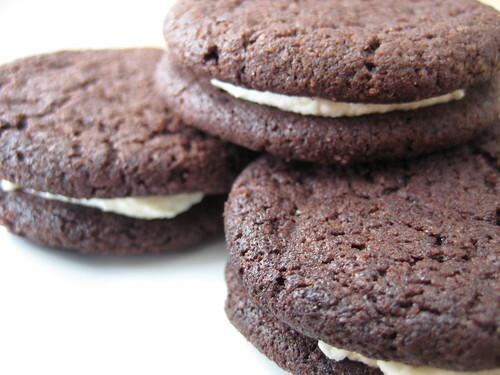 the filling was a bit sweet for me, but i loved the cookie – they were great on their own too, crispy and chocolatey. but my cookies didn’t spread as much so the cookie was thicker and fatter in size hehe. May 18, 2008. chocolate, cookies, sweet. 2 comments. recipe. i omitted the oats and use poppy seeds to top some of em. May 18, 2008. savoury. Leave a comment. 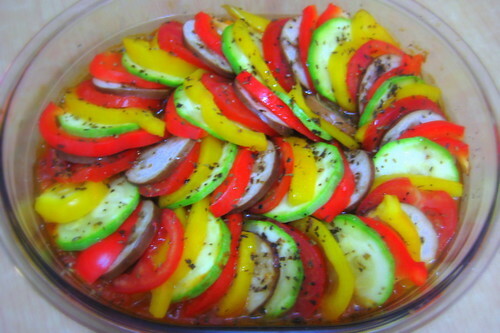 so after reading about smittenkitchen’s and foodbeam’s wonderful ratatouilles, i decided to make one as well. 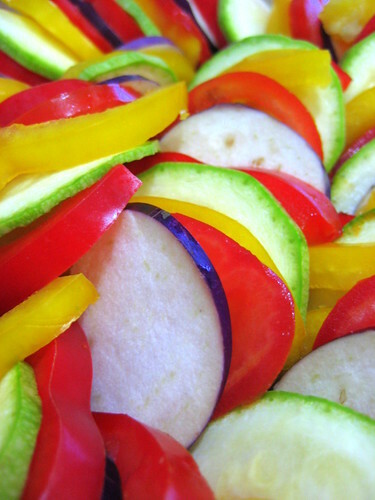 the vegetables i used for the layering were eggplants, zucchini, yellow&red bell peppers and tomatoes. 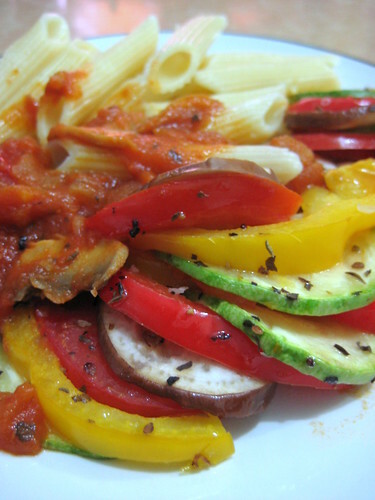 for the tomato sauce, i used chopped tomatoes, fresh mushroom slices, onion and garlic. 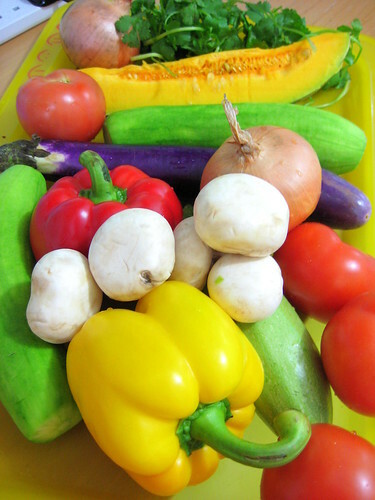 the dish turned out quite well, despite it’s not so appealing appearance – the veggies were cooked just right, with a bit of bite. i served it with some penne. April 30, 2008. Uncategorized. Leave a comment. yeah, these were made for school (again). i bought these along to my second-last day of year 11, before i go on exam leave. 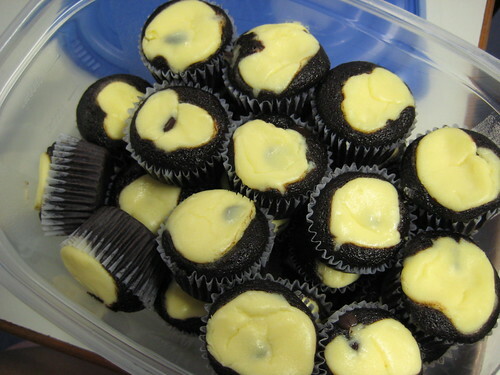 these are basically chocolate cupcakes with a cheesecake filling, made even more sinful with extra chocolate chips added in. yum. and because there is no frosting, i was able to carry many of these to school without damage, and these were minis again. recipe was from smitten kitchen. 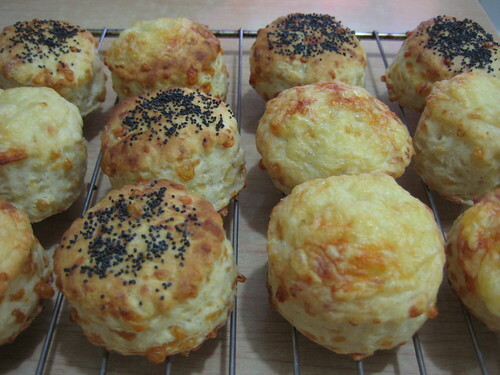 these fellas taste better after chilling them overnight…it’s more moist/fudgy and the whole thing just tastes better. 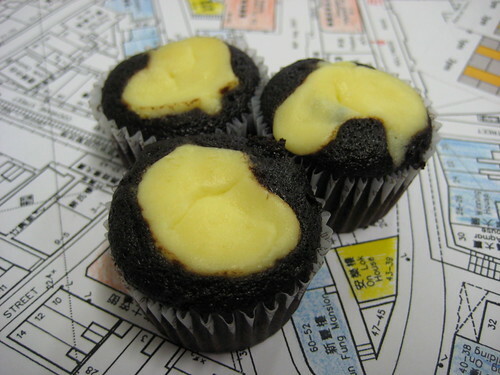 April 30, 2008. chocolate, cupcakes, sweet. Leave a comment.